A new publication about US community solar guidelines presents guidelines that both government and community organizations can follow to get more solar power to low- and moderate-income American communities. The guidelines are published by the Interstate Renewable Energy Council (IREC), a group of policymakers who collect and analyze renewable energy data and work to expand consumer access to clean energy. They also lead national efforts to standardize training and credentialing for the clean-energy workforce using a system of best practices and standards. Part of their work is to “identify, define and promote clean energy best practices for states, municipalities, utilities and industries, which ultimately shapes the local, regional and national energy landscape.” To that end, they release regular publications to guide decisions made at the state and local level regarding renewable energy. The IREC recently released a publication titled “Shared Renewable Energy for Low- to Moderate-Income Consumers: Policy Guidelines and Model Provisions.” The recommendations in the document are intended to help policymakers, regulators, utilities, and shared renewable energy developers to make the best decisions about adopting and implementing shared renewable energy programs in LMI communities. Residential solar power installations are becoming more widespread as the photovoltaic technology comes down in price and government tax breaks for renewable energy continue. But while more and more middle-class American energy consumers make the shift towards affordable clean solar power, low- and moderate-income Americans continue to find themselves saddled with high energy bills and unable to make the jump to renewables. There are many obstacles to solar power access in lower-income communities, but the benefits of a clean and cost-effective alternative for those customers could be substantial. 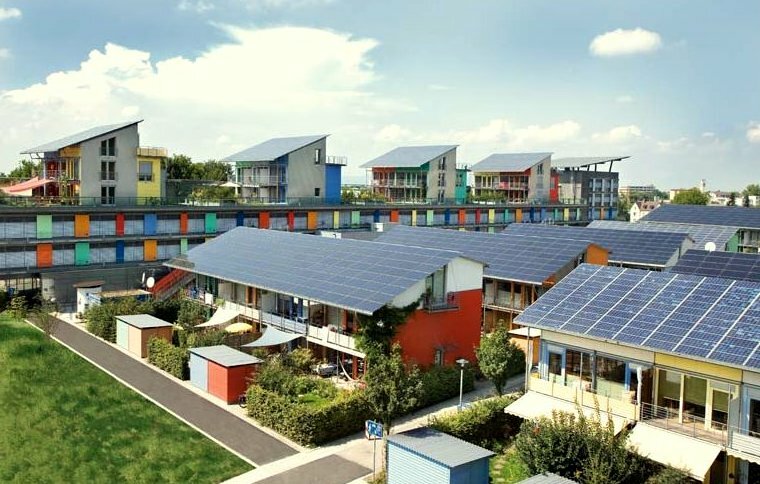 Community or shared solar programs are an especially attractive option for communities where residents are renting their homes, or living in multi-residential dwellings with little roof space for solar panels. Unfortunately, it’s not as easy as building an array and inviting everyone to plug into it. Deciding how and where to build community solar, and how to inspire interest in the communities that stand to benefit from it, is difficult. The IREC publication gives some pointers to anyone looking to set up a community solar farm in their own town. Before tackling the problem of providing a service to LMI communities, it’s essential to understand the communities that the program will serve. Defining income levels and mapping out where qualified families and individuals live is important if facilities are to be built in locations that are convenient. Because the needs of low-income customers differ somewhat from those of moderate-income customers, an assessment of relative income levels is necessary. The lower the income level, in general, the more subsidies and incentives will need to be applied in order to help individuals overcome the income barrier to participation in a shared solar program. While residents with higher incomes can also benefit from joining in a community solar endeavor, IREC recommends that program designers aim for a minimum of 60% LMI residents in order to ensure that the energy needs of the LMI community are being properly met. A thorough knowledge of the entire community’s demographics is essential for a successful plan, because different types of communities may have more specific issues or needs, and programs must take those into account. Underserved and minority communities, immigrant communities, or communities living in largely subsidized housing, may require some extra flexibility in a program’s design approach. The most obvious barrier to participation in a shared solar program is the same barrier that stands in the way of solar participation in general: money. LMI residents have many competing financial priorities, and often very little access to reasonable credit. Including a financing mechanism in the plan’s design can increase participation, as interested residents won’t need to deal with third party lenders. Creating a sliding scale for membership fees based on participant income is also a good way to eliminate barriers, but the program’s overall success will depend on a large enough number of higher-income “anchor subscribers” to support costs. 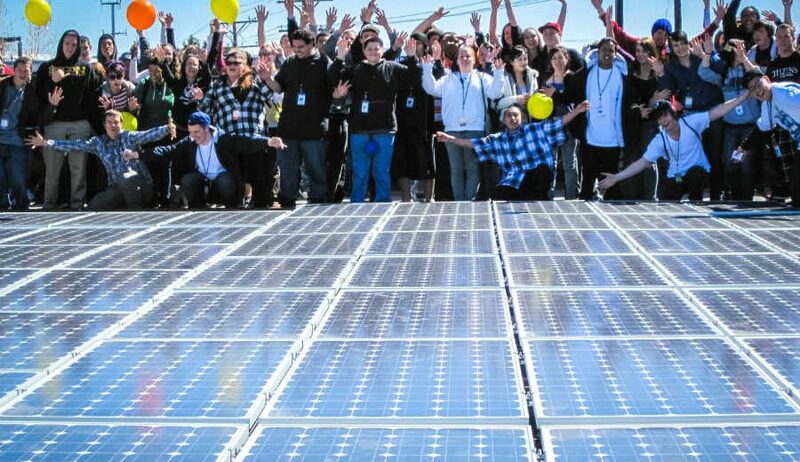 Ownership, or the lack of it, can also stand in the way of participation in solar programs. While locating the photovoltaic array off-site seems an obvious solution, it isn’t quite so simple. 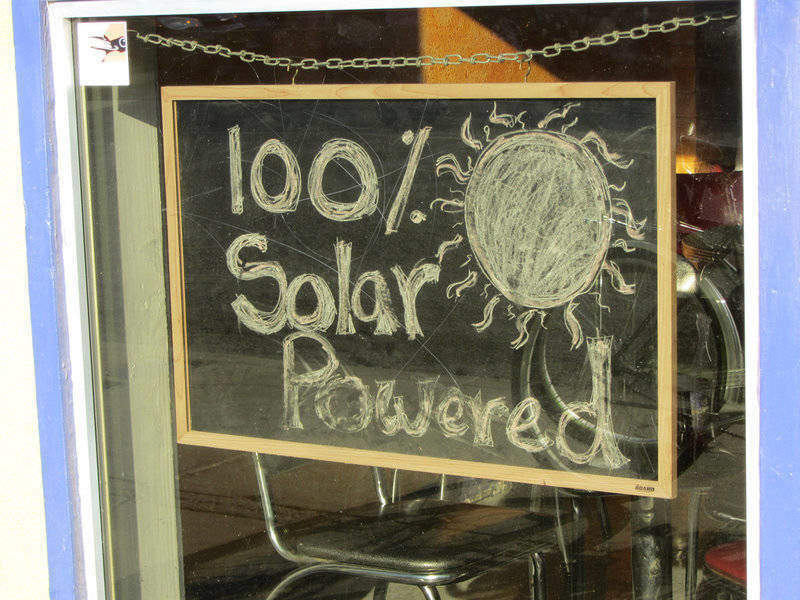 Participation in the shared solar project may require a landlord’s permission to connect the building to the solar grid, especially in cases where the building shares a master electric meter. Depending on the terms of individual leases, either the landlord or the tenant stands to save on electrical bills – convincing landlords to change aspects of their buildings so that their tenants can save money on utilities might be a hard sell in some cases. And if a landlord reaps the cost savings without passing the savings on to the LMI tenants, the program isn’t helping them: program directors must ensure that landlords of master-metered multi-residence buildings demonstrate how the building’s participation will directly benefit their tenants. Lack of ownership in the LMI community also leads to high mobility, with families moving much more often in search of better rent or access to services. A shared solar program must take that into account in deciding the terms of the membership: does the membership transfer to a new renter if the participant moves? Can the participant bring the membership with them to a new location? For a shared solar program to be successful, a procedure needs to be in place for these contingencies. If you build it, they will come, but only if they know about it. Unless the community is aware of the existence of a shared community solar program, there won’t be enough consumer demand to make it work. It’s important for a program to advertise its existence, but also to educate the community about the benefits of a shared solar installation. Consumer skepticism must be overcome, and unclear or complex eligibility criteria can turn people away when they first investigate. Often, there will be obstacles in the way of clear communication with LMI communities, including language barriers and lack of internet access. Partnering with existing community services, such as faith-based or volunteer organizations, is an excellent strategy to use, as they already know the best way to reach and communicate with the communities they serve, and they already have a level of trust.